Back in 2016, when Apple revealed touch bar, I saw it as a gimmick. I thought Apple made mistake by removing function keys. We developers use them all the time. I can’t think of not having those keys. I use my laptop for work and after 6 pm for Netflix. I change the setting on my Mac every day to avoid using Fn key. To use IDE shortcuts at work, I switch to function keys. Then again after work, so I can change volume with one hand (helps when you are eating). Six months ago I started using Touch bar MacBook. In the beginning, I was sceptical if I’d be able to work. Getting feedback when touching the function keys was a big deal for me. And butterfly keyboard, not so sure there as well. Less key travel and too clicky. Pressing Fn key reveals Function keys in this model. Suddenly many of the shortcuts that I used at work required one more key. *You can still switch between function keys and shortcuts but I’ve something even better in the end. Another annoying thing is Siri. They placed Siri on touch bar next to power button. I used to accidentally hit Siri when pressing delete or power key. I got rid of Siri button as soon as I found out how. Using butterfly keyboard has been a bag of mixed feeling. Fortunately, it hasn’t failed on me yet. I like the keyboard but it makes a lot of noise and the low key travel makes me feel like I’m banging it hard. But for some reason, I prefer butterfly keyboard. Using the old keyboard feels like I’m using a mechanical keyboard. Butterfly feels more modern. Due to lowered keys, the touch bar feels more natural and the feedback I craved is gone. Touch bar with the old keyboard won’t work. One wouldn’t be able to adjust between height difference of touch bar and physical keys. It isn’t all bad. At least they gave TouchID. No need to enter a 15 letter alphanumeric password which may contain special symbols. One other thing I love is the volume slider. At first, I touched volume key on touch bar and it reveals a slider that adjusts the volume. But that is a two step process. But I had a gut feeling that Apple being Apple would be smarter than this. I tried dragging volume key and to no surprise, the volume slider appears and slides to my touch. Now that’s how Apple does it. It works on brightness as well but that doesn’t make me feel like a DJ. You can have function keys appear only on certain applications. Add any application where you want to show function keys. 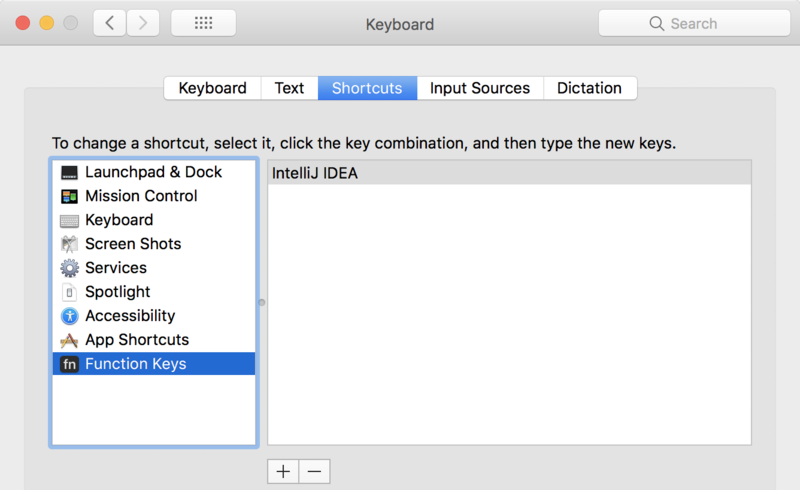 IntelliJ (work application) show me function key and iTunes shows me shortcuts on touch bar. This is the setting that has made me love the touch bar. No more switching between Fn keys and shortcuts. I can have them all. If you enjoyed this article, please share to help others find it! Feel free to leave a comment below.